1st Choice Hypnosis – Reframing the pieces to solve your puzzles. We’re here to help you change negatives into positives, for fast and successful results. There are multiple programs and techniques offered through 1st Choice Hypnosis Center which are available to assist you with becoming the master of your mind. This is possible because your subconscious mind actually controls 90% of the decisions that you make, every day of your life. By utilizing our guided suggestions and combining that with learning the proper methods that we are here to help you with, you gain the power to turn negatives into positives, essentially by lowering or removing the struggles associated with mental blocks and other negative influences. With that said, congratulations on making the choice to improve your life. 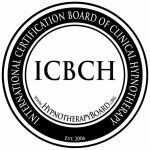 Hypnosis is the fastest way to remove self-sabotaging blocks which prevent you from reaching your goals and becoming successful in business, weight loss, smoking cessation, and much more.